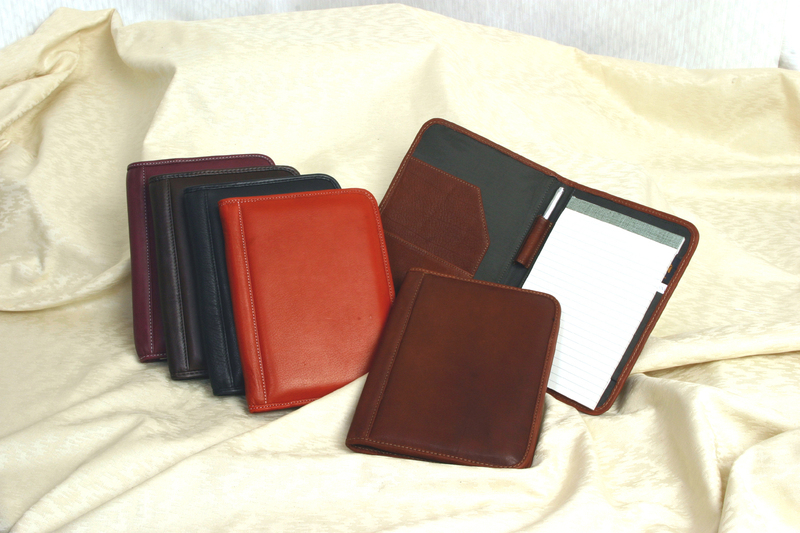 Our Leather Junior Meeting Folder comes complete with a 5.25" x 7.5" lined note pad and retactable pen. Two interior pockets for receipts or cards are included as well. Our Full Grain Leather is manufactured naturally leaving all scars and blemishes of the natural leather and is considered part of the character and beauty of the finished product. Great for your next meeting!